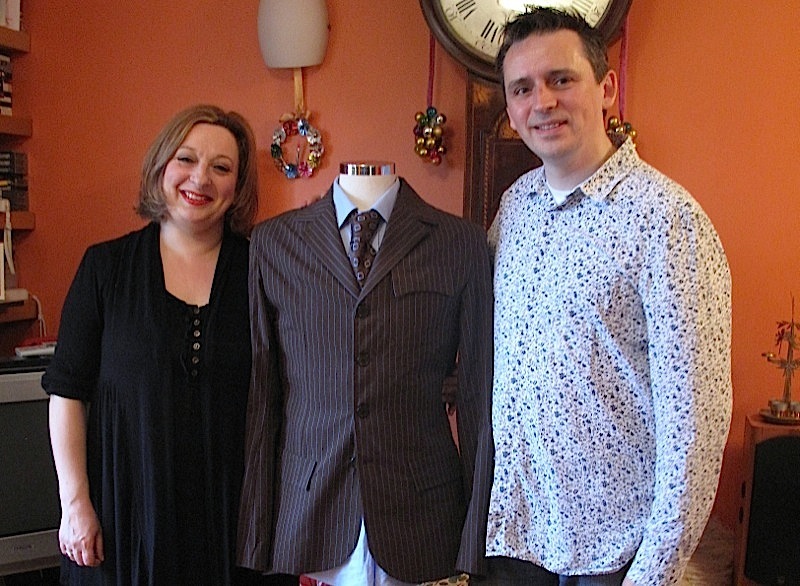 There’s been a lot of interest over on my Tennant Suit blog recently, with the interview I conducted with costume designer Louise Page. I wanted to make sure you Eleven cosplayers didn’t miss out, so I’m repeating part of her interview here, as it relates to Matt Smith’s very first day of filming on Doctor Who. 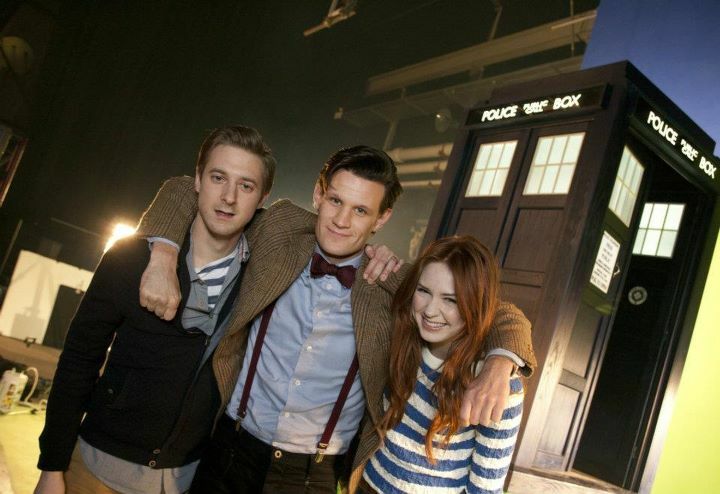 The End Of Time allowed for the only opportunity for David Tennant and Matt Smith to appear together in a unique publicity photograph. As you can see they are both wearing the Christian Lacroix tie - but how is that possible if there was only one? Louise Page explains how sometimes the camera can lie . . .
Just to confirm Louise’s comments, here is an unaltered outtake from the photocall. If you look closely you can see Matt is actually wearing Tie Two, the Daniel Hechter tie. Louise Page - when is tie four not tie four? 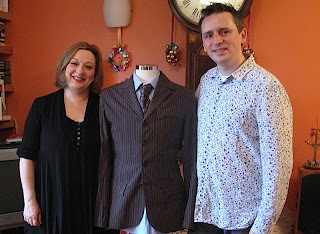 Over the past couple of weeks Louise Page, costume designer for the entire Tennant era, has been sharing her recollections of the ties worn as part of the Tenth Doctor’s costume. We are currently up to Tie Four, the ever popular swirly or Christian Lacroix tie. 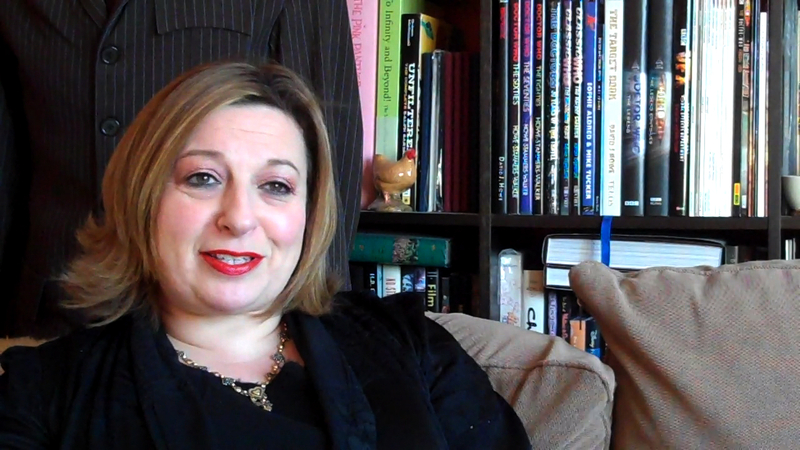 Today over on the Suit Blog we have heard how this tie was her first choice for Tennant’s swan song, since it meant so much to Louise and David alike. But the opening episode of Matt Smith’s first season proved to be a problem, as there was only one of the Christian Lacroix ties. Louise now explains how she handed over to Ray Holman and the way a replica had to be made to allow for the subsequent rough treatment the tie received. Filming started today on the next series of Doctor Who, and to show off, the BBC released an official publicity still showing Matt Smith and co-stars Karen Gillian and Arthur Darvill. 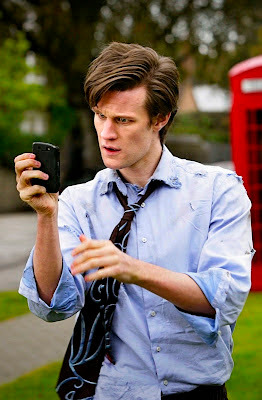 What the image does show us is The Doctor’s costume remains unchanged from Series Six, with the Shetland Tweed jacket; black G-Star RAW jeans; blue tabbed collar dress shirt, accessorised with burgundy bow tie and braces. 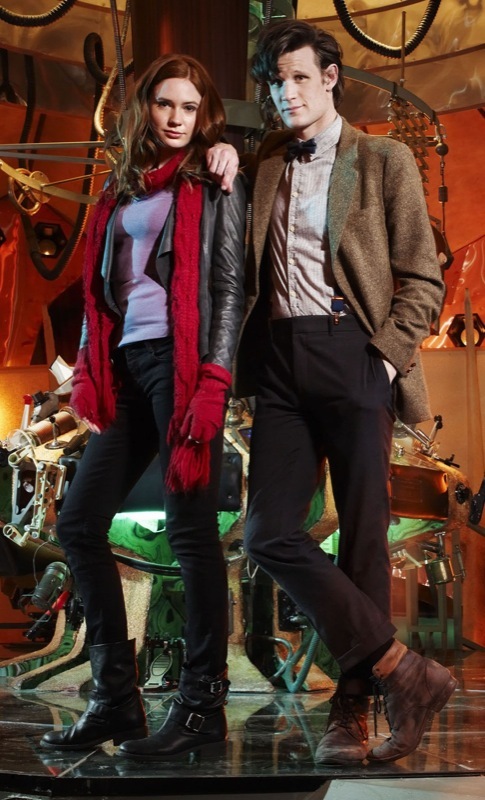 There had been hints that Matt wanted a change, possibly to a leather jacket, but for now things stay as they were. For now . . . .
Just thought I’d remind readers about my Matt Smith Costume Indexes, which I have been writing over the past couple of years. This covers all 13 episodes of series five, and I have subsequently added the Meanwhile In The TARDIS scenes which join The Eleventh Hour to The Beast Below, and Flesh And Stone to The Vampires Of Venice. 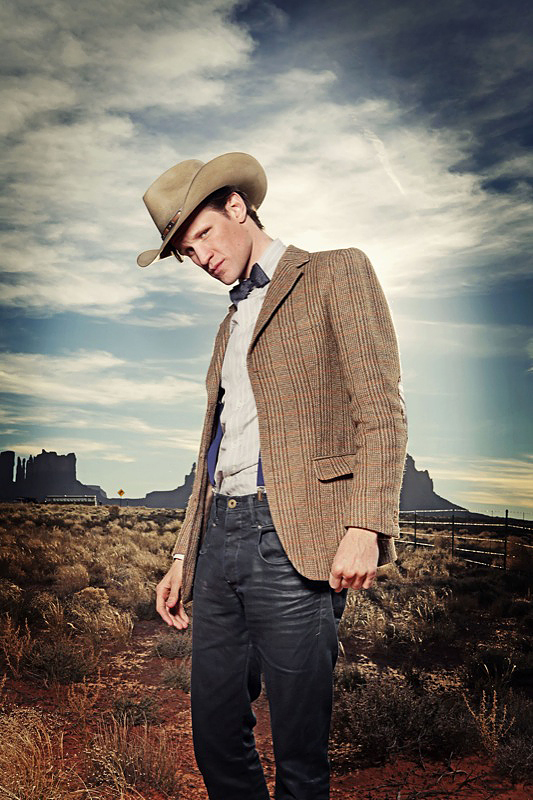 This was written to cover the additional official appearances of Matt Smith as The Doctor at the BBC Proms, the Doctor Who Live show and his venture in the the world of The Sarah Jane Adventures. 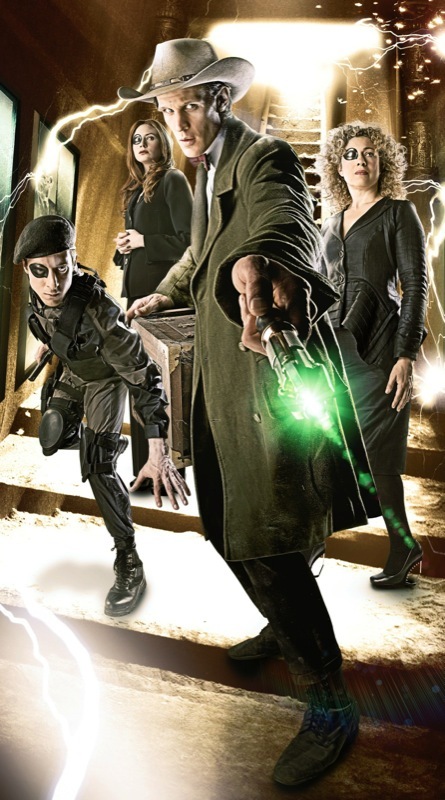 Principally covering the first seven episodes of Series Six, this also includes the 2010 Christmas Special and has recently been updated to include the Comic Relief special. This completes series six, and encompasses the prequel to Let’s Kill Hitler. 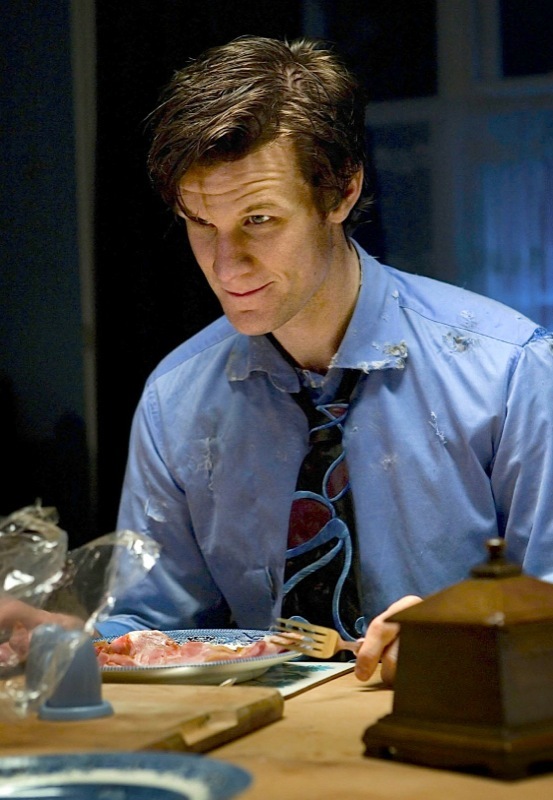 Over Christmas I ran The Twelve Regenerations Of Christmas, and included a special index for Night And The Doctor, a series of four DVD-exclusive mini episodes. 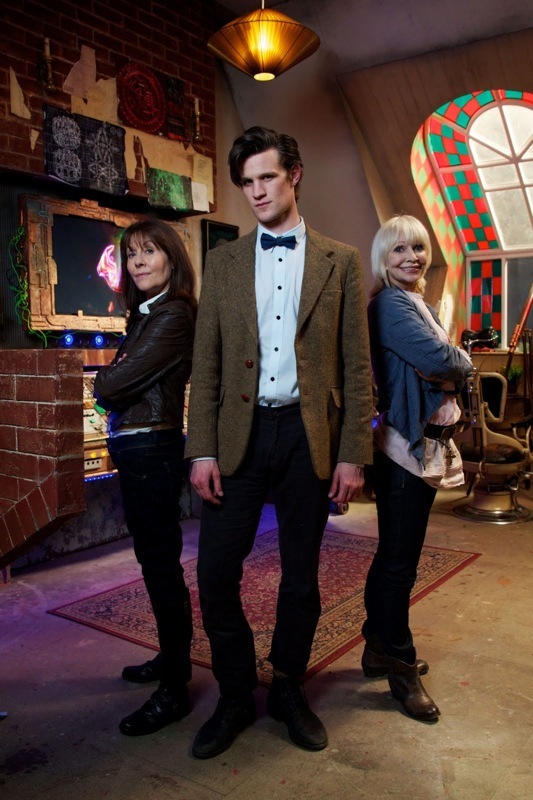 They warranted a posting of their own as they do not have a specific continuity to the episodes and The Doctor wears so many different costumes through the course of it. Earlier today she returned to do a formal interview, which I will be serialising over the coming weeks on my Tennant Coat and Tennant Suit blogs.